We are all familiar with a dog’s digging habits, but we might not be fully aware of what triggers a dog to dig in the first place. 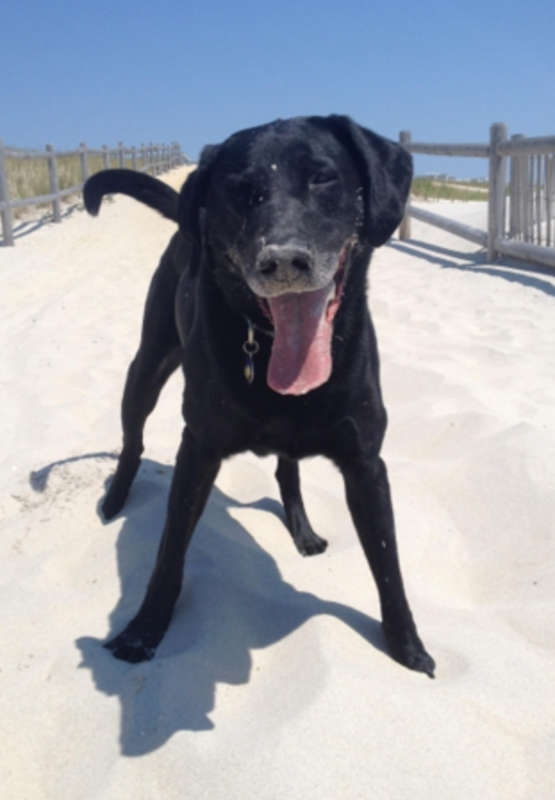 What’s exactly behind a dog’s digging behavior? To better understand what is truly going on, we may need to first get into our dogs’ heads. Until the day dogs can talk, we can only make assumptions, but we may get some hints by carefully observing what is happening as our dogs intently scratch the dirt with their paws as they work on building a whole golf course in a day. Interestingly, some reasons why dogs dig may surprise you. 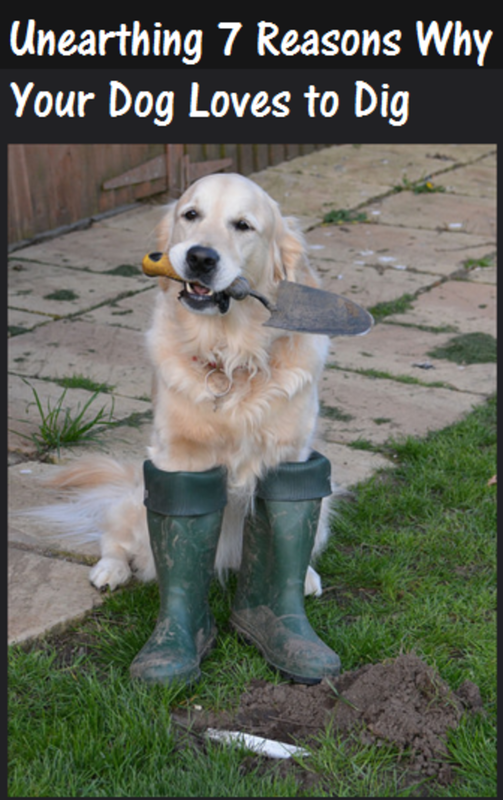 There are diggers and diggers in the canine world! What kind of digger is your dog? If your dog is a hunter at heart, he may find digging to be an effective way to fulfill his instinctive needs. There are many small critters who like to burrow themselves underground such as mice, moles, groundhogs, voles and several types of tarantulas. If your dog sniffs, then starts digging, then pauses, listens, sniffs and then resumes digging, most likely he is relying on his senses to learn more about the whereabouts of these underground critters. Among the vast array of dogs populating the planet, the small, determined terriers are likely to win the “digging dog prize.” Just think that the word “terrier” derives from the Latin word “terra” meaning earth. These feisty, short-legged dogs were selectively bred to “go to ground” digging through dens and burrows as they hunted down their dwellers. Tip: Look for some safe, humane methods to fence the critters out of the yard. 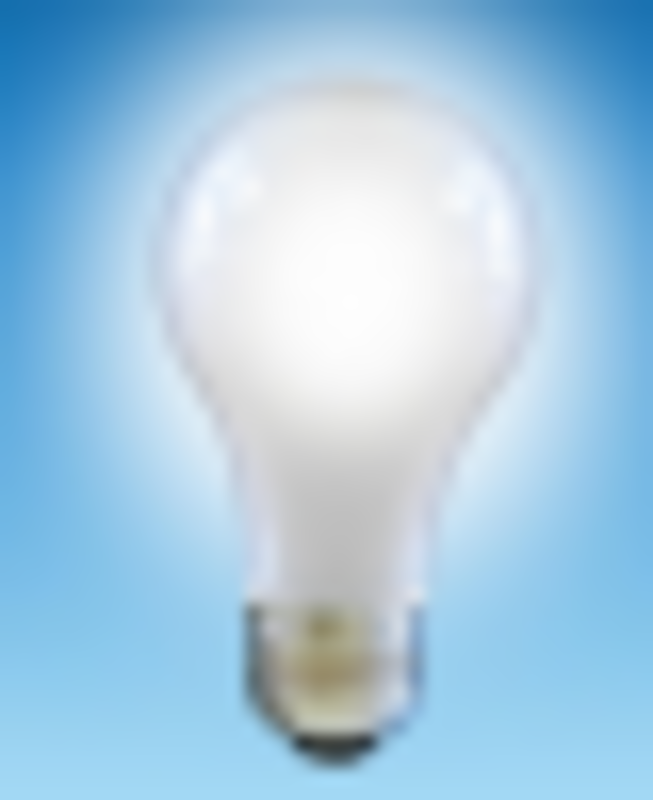 Provide your dog with interactive toys that will keep his mind mentally stimulated. For small terriers, consider enrolling them in fun “earth dog” trials. Not all dogs dig to hunt for underground critters, for some dogs, unearthing and gathering plants, bulbs, roots and all the like may be equally fun. Some dogs discover their “green thumb” after watching their owners gardening. So next time, your dog digs up your flower beds, hold you temper and refrain from the temptation to punish him. Chances are, he’s likely just imitating you! Not too long ago, a study revealed that our canine companions are capable of copying our behaviors as long as 10 minutes after they happened. For some dogs though there may be more to it than mere imitation. To a puppy or a bored dog looking for stimulation, playing a game of “tug” with some sturdy tree roots may be fun enough to make digging them up totally worth it! Tip: fence up your garden and provide your dog a “digging zone” area where he can dig to his heart’s content. 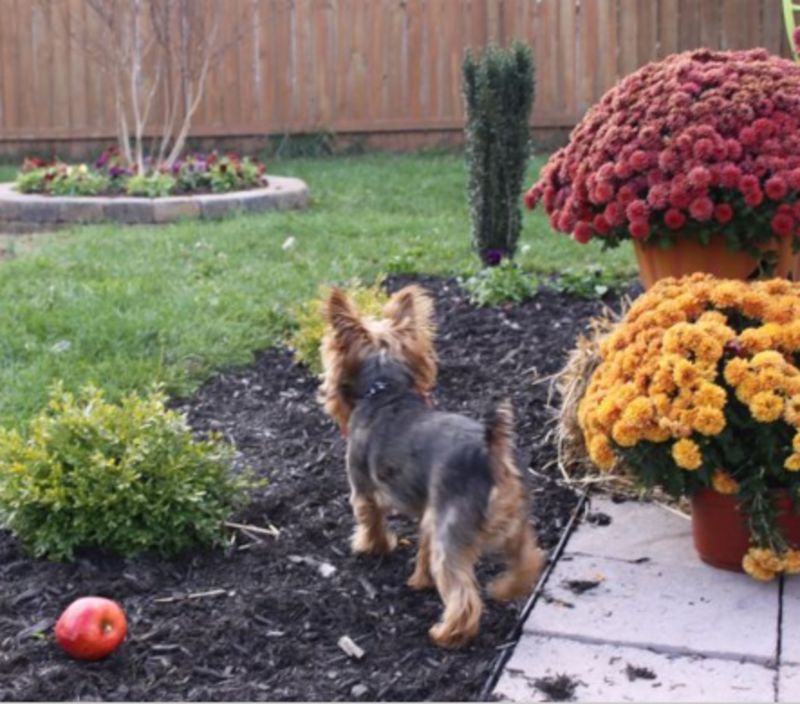 Your plants and your dog will thank you! If your dog is left out in the yard for the most part of the day, his digging may be his way of building himself up a shelter. Deprived from a heating or cooling system, he may need to figure out his own way to keep himself toasty warm or refreshingly cool. 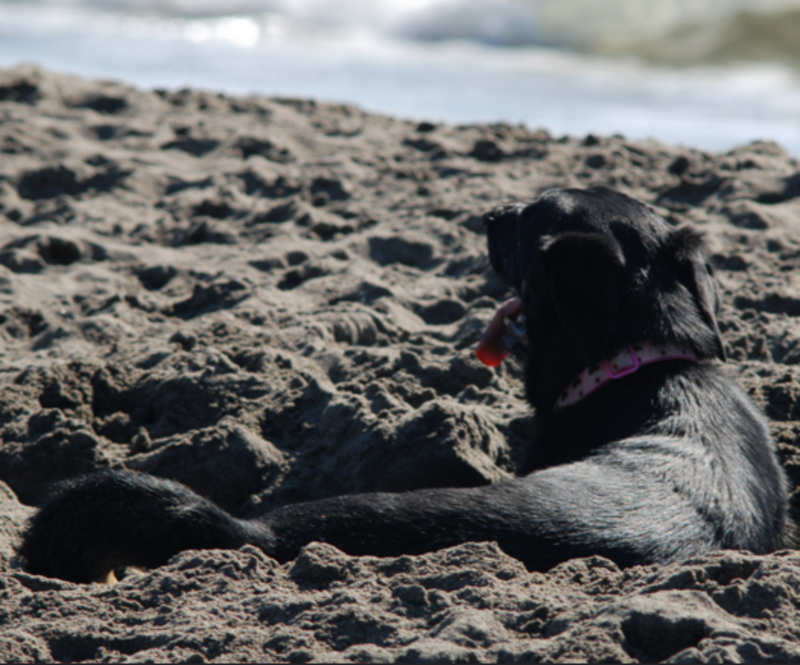 In the summer, dogs may dig to build up a nice resting spot by exposing the cooler dirt. When these dogs lie down, they get to expose their belly to the cool soil. In the winter instead, dogs may dig holes in the dirt or snow to build their own den-like enclosures so they can stay warm. The best way to figure out if your dog is building holes to warm up or cool down? See if he’s lying down on them or inside them. Tip: Provide your dog with an insulated dog house and extra blankets in the winter, and for the summer, provide cooling options such as a shaded area or a shallow wading pool. Even better, invite your dog inside to share your heating and cooling systems! Some dogs dig just for the sake of exploring. Digging unravels an interesting world of intriguing scents and secret treasures. 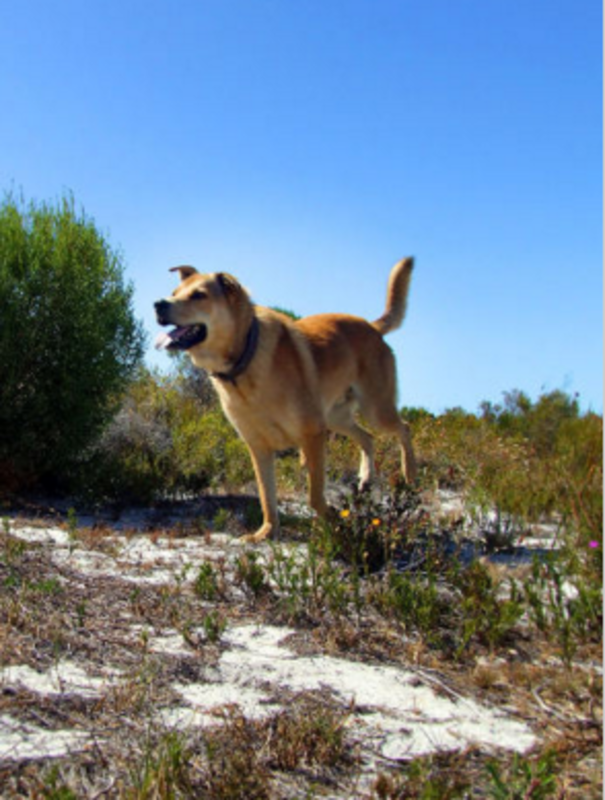 “When dogs dig, they aerosolize scents that may been hidden,” explains veterinary behaviorist Karen Overall, in the book “Manual of Clinical Behavioral Medicine for Dogs and Cats.”With their powerful sniffers they therefore get to explore and keep their mind stimulated. 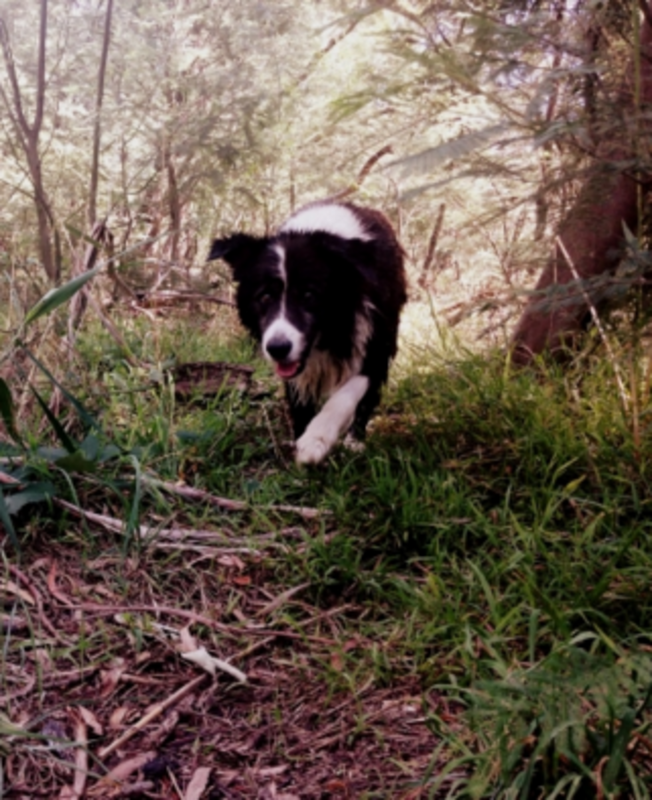 Tip: Want to unleash the explorer in your dog ? Fill up an old swimming pool with lots of sand and bury several toys under the sand. Then, watch your dog go on a fun treasure hunt! 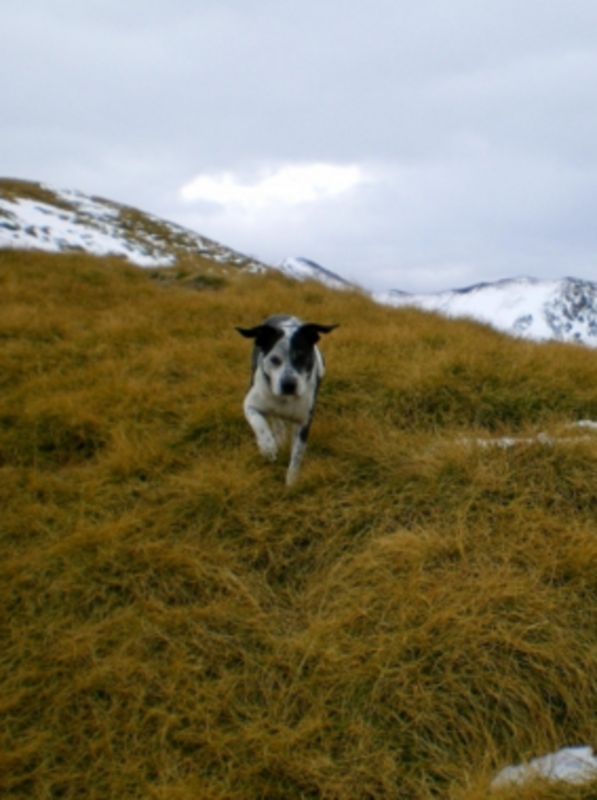 These dogs thrive on exercise and mental stimulation, so make sure to provide plenty. Oh, and for dogs who bury bones for later consumption, you can curb this tendency by providing treats that are likely to be consumed in one setting. Where does your dog dig exactly? Believe it or not, the location where your dog digs can tell you what he may be up to. If the digging is particularly focused by the fence line, there are chances that he is digging himself a tunnel so he can escape from the yard. Why would your dog want to escape? It could be because he feels lonely or bored, or perhaps he wants to hunt, explore or meet new friends on the other side of the fence. In some cases, digging by the boundaries may be a sign of separation anxiety if your dog does that when you leave the house. Tip: You can bury chicken wire at the base of the fence keeping the sharp edges rolled up away from the yard; however, you may ultimately want to find a way to let your dog feel less lonely, bored or anxious. Does your dog dig the most when he’s in your company? If so, the digging may be triggered by a need for attention. It doesn’t matter if you are scolding your dog when he digs, for a dog who craves attention, any form of attention may do. Suspect this type of digging if your dog mostly digs in your presence and doesn’t receive much interaction from you during the day. Perhaps you are away for most of the day or you don’t pay much attention to your dog. Fact is, many dog owners have a tendency to ignore their dogs when they’re calm and well behaved and give their dogs plenty of attention (of the negative type) when they’re misbehaving. Dogs soon learn this pattern which translates into the persistence of undesirable behaviors not because the dog enjoys the activities per se’, but because he enjoys the attention that comes along for the ride. Some dogs may even find the negative attention amusing to the point that they think it’s a fun game! This means it’s time to shift methods! Tip: Reverse the use of your attention. Ignore the attention-getting digging, while you dole out loads of praise and attention when your dog doesn’t dig or engage in any other troublesome behaviors. Soon, your dog will learn that good behaviors yield the oh, so desired attention! Some dogs take leaving “pee mail” to a whole new level. These are the dogs who will dig before they eliminate for the purpose of “aerosolizing” the dirt so they get to “read” the messages of dogs who were there prior to them. Other dogs will scratch the dirt with their back paws after they eliminate. This behavior has often been questioned by many dog owners who wonder about this curios doggy behavior. No, contrary to popular belief, these dogs are not wiping their paws, or covering up their evacuations as kitty does after visiting the litter box. Actually, quite the opposite: these dogs are scratching the dirt in hopes of adding further visual and olfactory components to their “outputs.” It’s almost as if dogs were adding visual arrows pointing towards their outputs so to grab attention. Did you know? Dogs have sweat glands on their paw pads, and along with those, they also have sebaceous glands in between their toes. When they scratch, they are therefore likely to spread around these special glandular secretions, explains Jensen P. in the book “The Ethology of Domestic Animals: An Introductory Text.” This type of dirt scratching is therefore more likely to occur in places frequented by other dogs, so expect to see it more in places other than your property (unless your yard is not fenced and it’s often visited by other animals).